It seems like the messages you hear about what is and is not good for you are continually changing. Some experts say to cut the fat, while others say you have to eat fat in order to lose it. 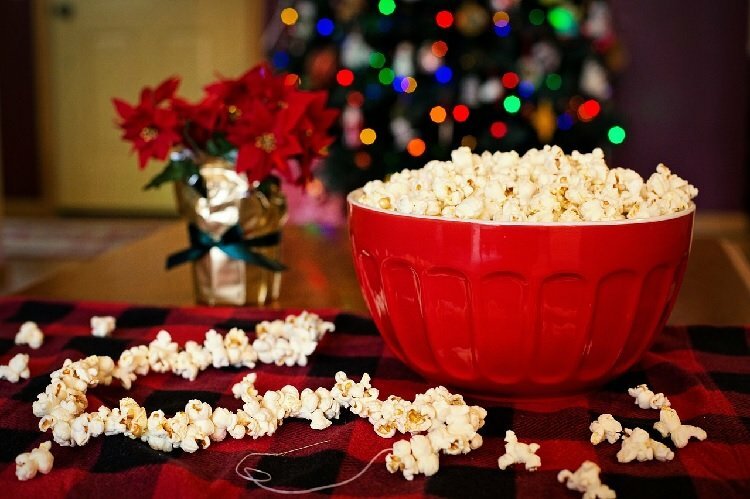 With all the conflicting information out there, there is one thing that is irrefutable: popcorn will always be an excellent snack, not just to satisfy your hunger, but also for weight maintenance. Although you have probably been told to “cut the carbs,” this doesn’t apply when it comes to popcorn. Popcorn is loaded with antioxidants that help to fight off free radical damage at the cellular level, and it has enough fiber to help you maintain a healthy weight. Those looking for an excellent midday snack or to satisfy their sweet tooth at the end of the day should consider popcorn. It can accomplish both goals with these tasty recipes that are all less than 150 calories per serving. Not just for movie night anymore, popcorn is about the healthiest — and cheapest — snack around. If it is sweet popcorn you crave, then try adding some of these yummy additions from popcorn supplies in Canada. Take three cups of air-popped popcorn and coat it with a teaspoon of salted butter. On top of that, all you need is a splash of cayenne pepper and a few sprinkles of cinnamon. To finish it off, add a teaspoon of cocoa powder to give it that sweet and salty taste. If you are a nutty/sweet lover, then take three cups of air-popped popcorn and coat it with one teaspoon of salted butter. Combine that mixture with one teaspoon of pure maple syrup. Just make sure to eat it quickly before it gets too wet. If you want just a little “bite” to it, add a dash of black pepper and enjoy! If savory and rich tastes are your favorites, you can load popcorn up with just about anything to excite your taste buds. Take your most-loved herbs and spices and add them as you please. Since most spices have few if any — calories, you can add as much or as little as you want without changing the calorie content. For a little Asian flair, use about a tablespoon of coconut oil to coat three cups of air-popped popcorn. Then add one teaspoon of curry spice to the mixture and make sure to mix it up well. You will be amazed at how well the two flavors shine through. For a little Italian tastiness, take three cups of air-popped popcorn and mix in a tablespoon of olive oil. Then mix in about a teaspoon of garlic powder. This powerful combination packs quite a big punch, and the calories are next to nothing. If you like food a little more savory than spicy, then use jerk spice with coconut oil. Mix three cups of air-popped popcorn with a tablespoon of coconut oil. Then add about a teaspoon or more of jerk seasoning. It creates excitement for your taste buds, and you won’t be left feeling hungry or dissatisfied. If you are a lemon-pepper fan, then this recipe is for you. All you need to do is add a tablespoon of butter into three cups of air-popped popcorn. Once you have fully coated the popcorn add a teaspoon of lemon-pepper. It’s a distinctive taste for sure and if lemon-pepper is one of your favorites you’ll love this recipe. If you are a salt lover, then these recipes can’t be beaten. There’s nothing sweet involved — all you need is soda to wash them down. Take three cups of air-popped popcorn and coat it with one teaspoon of melted unsalted butter. Next, add a teaspoon or more of ranch dressing mix and combine well. If you love Japanese food, then this is the perfect snack. Mix three cups of air-popped popcorn with about a teaspoon of sesame seeds, salt, and nori. Once you have thoroughly mixed them, then you can coat the entire concoction with one-half teaspoon of sesame oil. You don’t need a whole lot of calories to feel full. Thanks to the high fiber content of popcorn, it is a snack that is not only healthy, but it also fills you up quickly. When you have a craving, find your sweet, spicy, or salty favorite, and satisfy it with these awesome popcorn recipes with less than 150 calories.